When you select a sound layer in the Timeline view, the options related to that layer appear in the Layer Properties view and in the Sound Element editor when you double click on the layer. • Mute/Unmute: This button mutes and unmutes the sound layer during the scene play back. • Layer Name: This field displays the layer's name. • Sound Editor: This button opens the Sound editor. 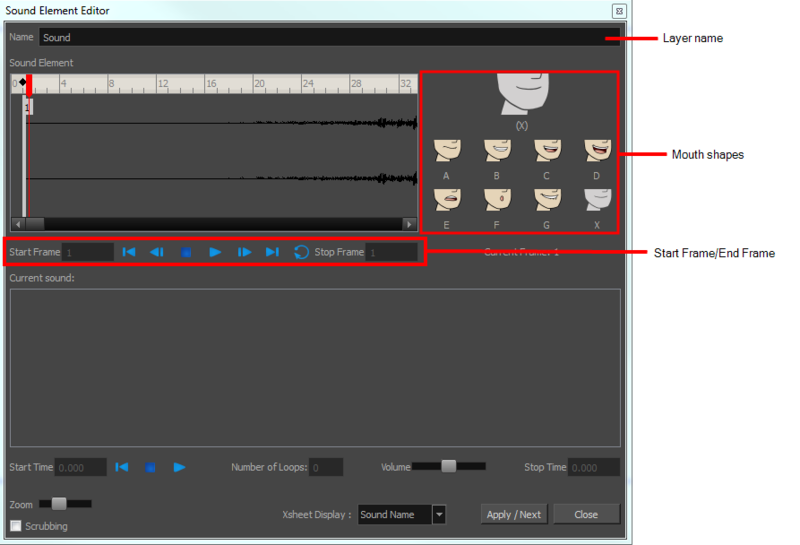 • Start Frame/End Frame: These fields determine the start and end frame of the sound file. • Detect: This button launches the automated lip-sync detection. • Map: This button opens the Map Lip-sync dialog box. 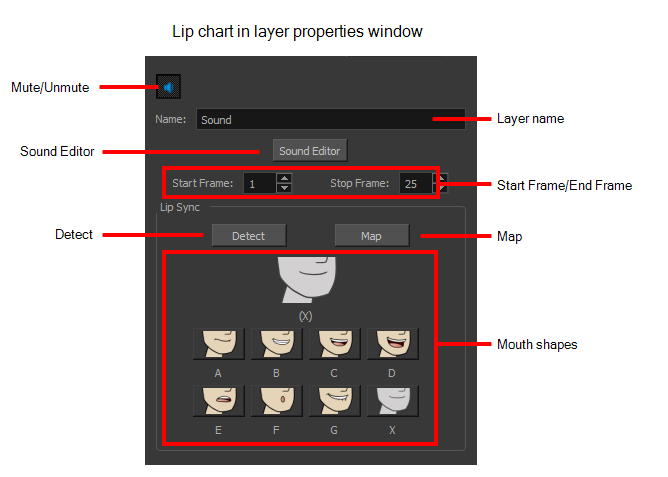 • Mouth Shapes: This section shows the automated lip-sync detection during the scene play back. Click on the thumbnail image of each mouth to change the phoneme assigned to the current frame.